Labor Day will be here before we know it, bringing with it incredible harvests after a productive growing season, but also signaling the imminent end of summer. 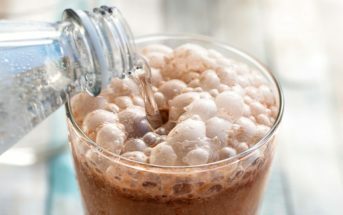 A bittersweet celebration, it can be difficult to shift gears yet again in preparation for the fall, especially after basking in the glorious warmth and light of summer. Best not to dwell on the unstoppable passage of time though, since there is still so much to enjoy right here and now. 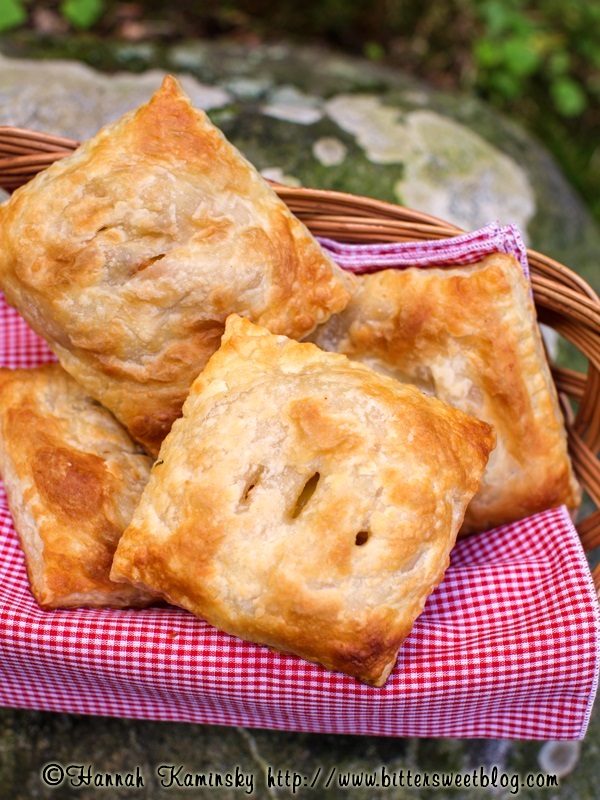 Send off summer with a final grand flourish, employing the best fruits and vegetables in these delicious vegan savory hand pies. Peaches and tomatoes may sound like an odd couple indeed, but more similarities unite the two than tradition-bound cooks give them credit for. 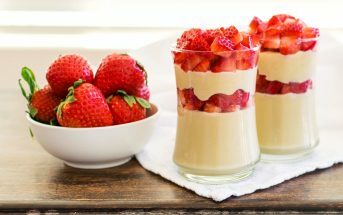 As botanical fruits, both bear a certain natural sweetness. Gentle acidity additionally defines their flavors, creating such characteristically punchy profiles. Melding the two is a sweet and savory combination that can’t be beat during the height of harvest, which just so happens to be open now. Wrapped up in a crisp cocoon of buttery puff pastry (many brands are dairy-free and vegan! ), this duo shines even more brightly once joined by tender corn kernels and sprightly fresh herbs. If pastry sounds like too much of a fuss for such simple, already flawless ingredients, consider the savory hand pies presentation strictly optional. Just omit the pastry and cornstarch for a perfectly delicious cold salad. The versatile filling doesn’t need any cooking or accompaniment to make just as big of a splash all by itself. Better yet, it can be prepared in advance and packed for lunch to go. Even if you need to return to work or school as vacations come to a close, you can still take summer with you, for a little while longer, at least. 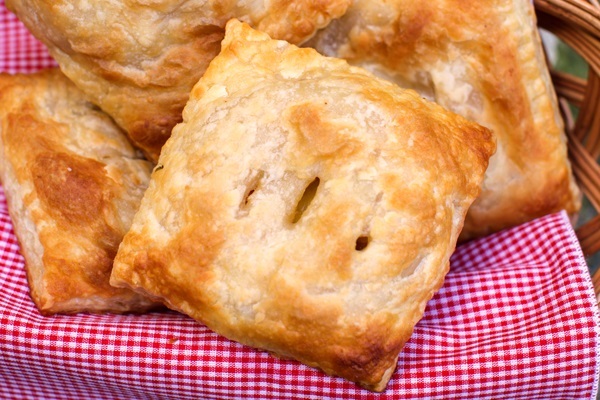 These savory hand pies are naturally vegan, vegetarian, egg-free, peanut-free, and soy-free (just be sure to pick your puff pastry wisely – there are a couple of soy-free brands). Tree Nut-Free Option: Simply omit the optional pine nuts; they will be just as tasty without. 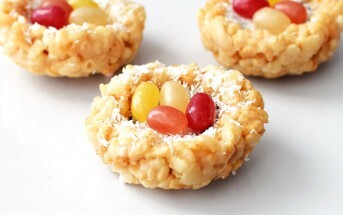 Gluten-Free Option: You can simply enjoy the flavors of the filling as a cold salad, as mentioned above! Full savory hand pies venture into trickier territory, but they can be done. For gluten-free puff pastry, this recipe is a great option (use dairy-free margarine in place of the butter). There are a couple of brands of gluten-free puff pastry or pie pastry on the market, but they may not be vegan. Open up the packages of puff pastry, lay a lightly moistened towel over them so that they don’t dry out, and allow them to thaw while you prepare the filling; about 30 minutes. Meanwhile, preheat your oven to 400ºF and place a silicone baking mat or piece of parchment paper on top of a baking sheet. 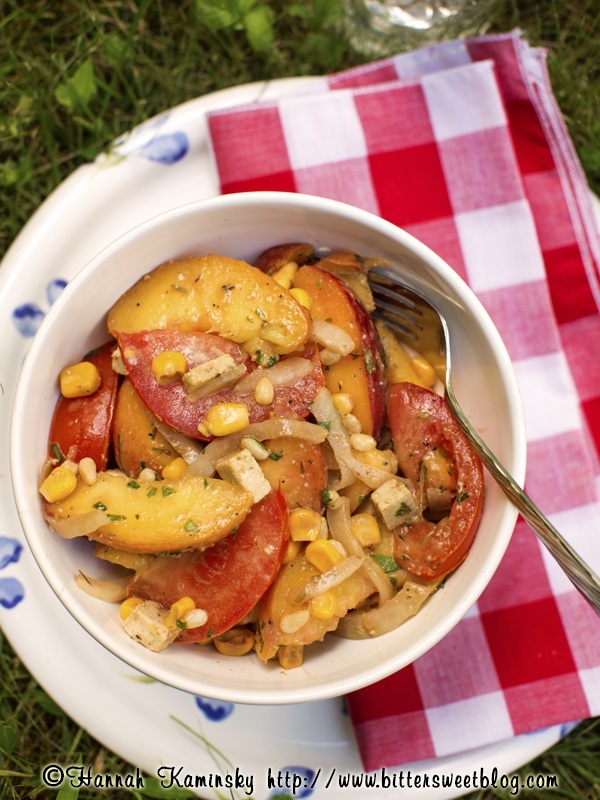 In a large bowl, toss together the sliced shallots, peaches, tomatoes, corn, pine nuts (if using) and cornstarch, being gentle so as not to mash the fruits. Once everything is evenly coated with starch, drizzle in the balsamic vinegar and olive oil, followed by all the fresh herbs and seasonings. Stir well to distribute the latest additions evenly, taste for salt and mix in more if necessary. Finally, stir in the vegan cheese. Once the pastry has thawed, work with one sheet at a time on a lightly floured surface and roll it out to ⅛-inch thickness. Cut the rectangle into 9 equal squares and transfer them to your prepared baking sheet, spacing them out evenly with at least ½-inch of breathing room in between the pieces. Roll out the second sheet of pastry in the same way and once again, cut it into 9 squares. Spoon ¼ to ⅓ cup of the filling into the center of each pastry square resting on the baking sheet, mounding it up slightly towards the middle. Run a lightly moistened finger all the way around the perimeter of the pastry; this is the “glue” that will seal the top and bottom together. Take a second square of pastry, stretching it slightly if necessary to cover the filling, and firmly press down around the edges. Use a fork to crimp all the way around, and trim the excess if desired. Use a very sharp knife to cut two or three vents in the top of each hand pie. Repeat with all the remaining squares until each pie has a secure top and bottom crust. Bake for 14 to 18 minutes, until puffed and golden brown all over. Let cool on the baking sheet for at least 10 minutes before digging in. Hi i am a beginner in vegan cooking Am eagerly looking forward to trying out as many Rx that will work for me! Good luck on your contributions. They all seem so lovely and exciting!